Shaw, St. Aug and Virginia State are on a roll as they close out conference play and look forward to CIAA action. CIAA conference play is right around the corner and three teams have all been firing on all-cylinders as non-conference play has wound down. Virginia State came up with a 79-73 overtime win against King on Saturday night. Trey Brown led the way with 19 points, adding seven rebounds, six assists and four steals in 36 minutes as the nationally-ranked won for the 10th time in its first 11 games at home in Petersburg. 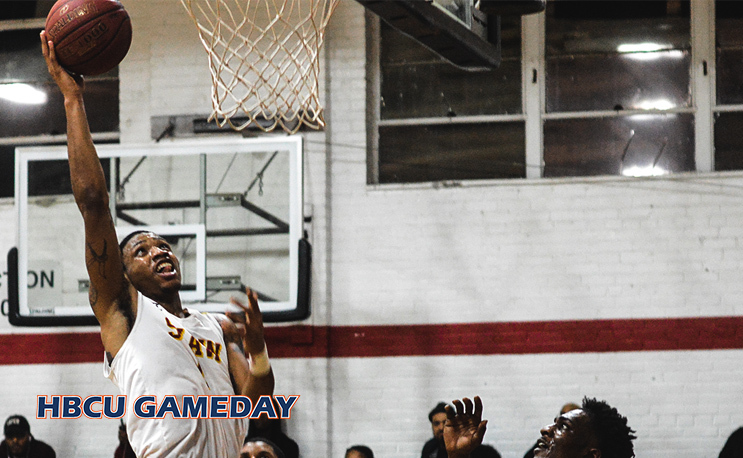 Down in Raleigh, Shaw picked up its sixth-straight win behind a career-night from DeVaughn Kelsie. The sophomore from Richmond, VA hit a school record 12 3-pointers and to record a 39 point performance as Shaw came away with a 110-89 win over Barton College. DeAngelo Stephens-Bell filled the stat sheet with 21 points, seven rebound and seven assists. Shaw’s cross-town rival, St. Aug picked up its fourth consecutive win of the year, beating Belmont Abbey 79-66. Senior Quincy January put up 16 points and 12 rebounds for his 45th career double-double, third among active players in D2 basketball. He led five SAU players in double-figures.